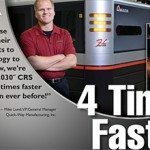 World Class fiber laser to cut more materials faster than ever. 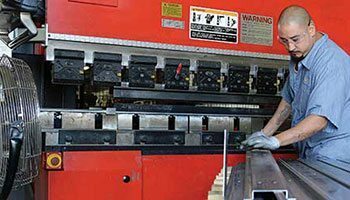 Full line of Amada Press Brakes to meet your forming needs. CNC Turret Punch Presses and an automated loader for cost-effective fabrication up to 48" x 120". 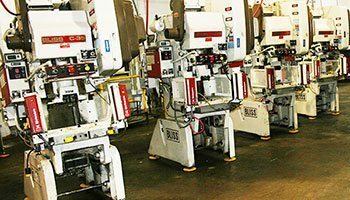 Full line of punch presses for medium to long runs of smaller parts. 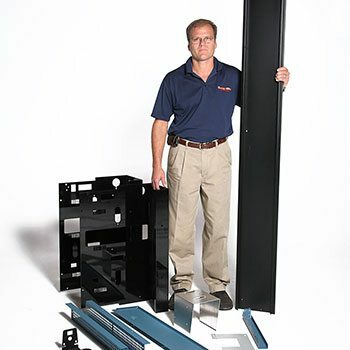 In-house hardware installation and secondary machining operations, plus an array of trusted paint and plating vendors. Haas Machining Centers for precision machining and secondary operations such as drill, tap, and countersink. Stock warehousing options for large runs and regular repeat orders to save money and time. 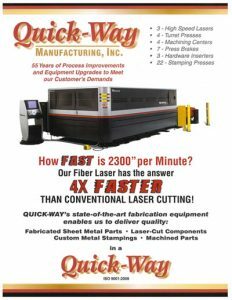 Quick-Way Manufacturing is a precision ISO-9001:2015 Certified custom contract manufacturer specializing in laser cutting, precision sheet metal fabrication, and metal stamping across a wide range of applications. 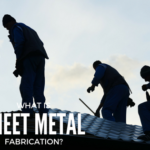 We offer state-of-the-art equipment and processes to handle the full range of sheet metal fabricating. 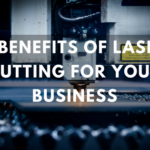 This includes hi-speed laser cutting, turret presses, and forming equipment which allows us to cut, punch, bend and shape to your exact requirements. 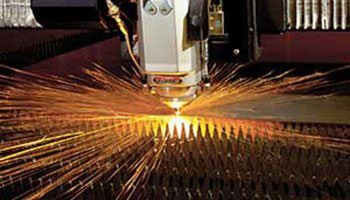 Our “lights-out” laser cutting gives us capabilities to process the largest of orders with exacting precision and quality. With the flexibility of an in-house tooling department, Quick-Way Manufacturing can offer fast turn-arounds and maximum cost effectiveness with the quality you demand. 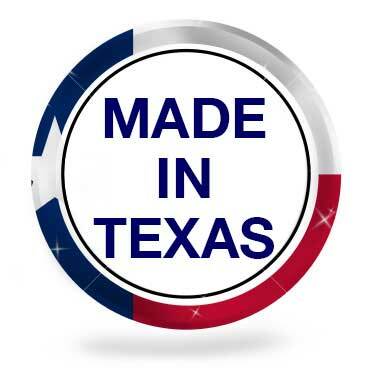 Quick-Way Manufacturing also offers a broad range of value added operations that can deliver a product ready for packaging, and/or assembly without additional processing, thus saving you time and money in your operations. We also offer warehousing of finished goods to enable you to take shipments at your schedule while taking advantage of volume production. With over 60,000 Sq. Ft., our Facility is capable of meeting the most demanding of manufacturing needs, small or large. 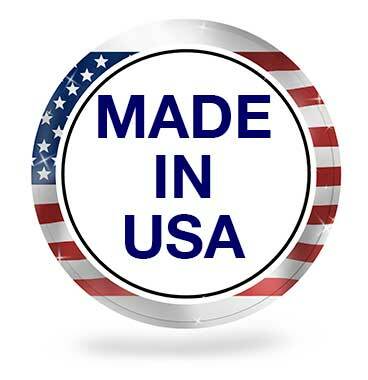 Looking for a manufacturer that can meet or exceed your expectations? Give us a call and let us prove that Quality is the “Quick-Way”.